How to maintain buffalo trophy quality in sport-hunted populations. The sustainable utilization of Africa’s wildlife is its only hope for long-term survival. For the ‘sustainability’ concept to work it needs to stand on for pillars – ecological sustainability, financial sustainability, social sustainability and genetic sustainability. Genetic sustainability ensures long-term trophy quality. Come and listen to our approach to ensuring this and learn about the research been done here with aerial photography and whole buffalo population analysis. 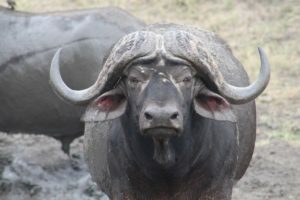 The focus of this study is on the African Buffalo. This class is approximately +-1,5 hours in duration and given by Dr. Kevin Robertson, Mr. Pieter Nel or Mr. Gawie Lindeque.